Broadband @ Home » Connected @ Home » All About Roku — Does it Belong on Your Holiday Wish List? If you are in the market for a video streaming device, hoping to truly take advantage of your Internet bandwidth, the name Roku is probably familiar. Similar to Apple TV, Google Chromecast, and Amazon Fire TV, Roku offers a wide range of content without being tied to one of those technology giants. The company claims they provide more channels than any other video streaming device as well. With nearly every new television providing “Smart TV” capabilities, are separate video players even necessary? Let’s take a closer look at Roku to see if it makes a valid option for your holiday shopping list this season. Roku models come in either a small box, similar to an Apple TV, or in a dongle format, not unlike the original Chromecast. Expect to pay more for the newest box model ($100-130) compared to the smaller dongle, known as the Roku Streaming Stick ($50). The Roku SE combines the best of both worlds — a streamlined box design with the price of their stick model. The main advantage of a box over a dongle or stick is the added flexibility when connecting to your Smart TV or AV receiver. The latest box model — the Roku 4 — includes a remote control, voice search, and the ability to stream 4K video content where available. Perform regular speed tests before streaming Ultra HD or 4K video, as they require speeds of at least 20 Mbps for the best quality. Expect access to nearly every available streaming service when using a Roku. 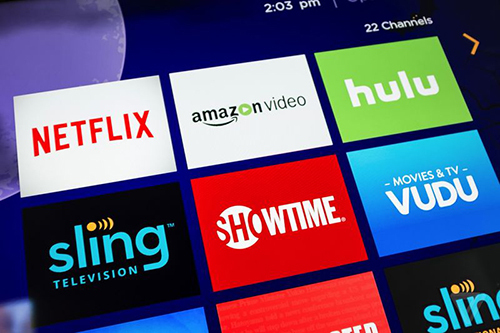 HBO, Showtime, Sling TV, Amazon Prime and many more are included with subscriptions necessary for premium services. A copious amount of free channels are also available covering most interests: news, movies, music, sports, weather, and various lifestyle topics. You even have the option to watch your Cable TV service using the Roku, depending on your provider. Many pundits have also praised the agnostic nature of the device’s user interface compared to models from the industry giants that try to force users into their own streaming offerings, most notably the Amazon Fire TV. If a streaming video player is in your Holiday future, a Roku unit needs to be on your shortlist. Its superior channel lineup and easy to navigate software are the two things fueling Roku’s popularity among movie and television buffs.